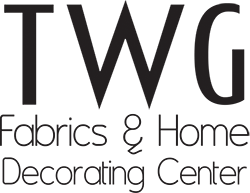 Purchase 1 Luminette® Privacy Sheer, plus $100 rebate for each additional unit. 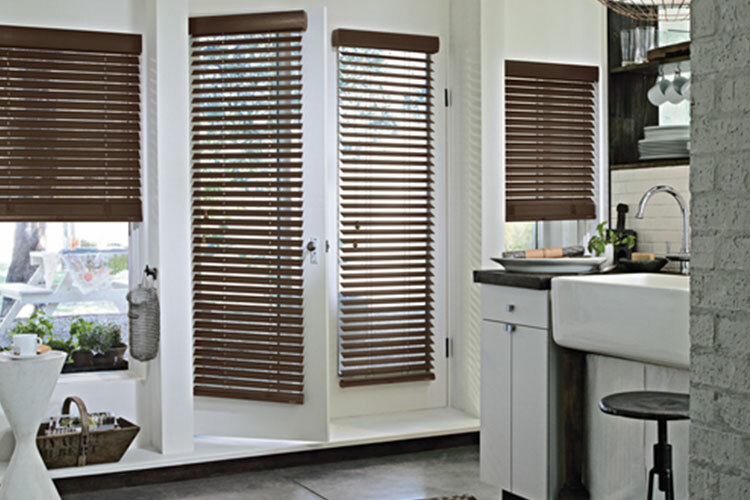 Purchase 2 Pirouette® Window Shadings, plus $50 rebate for each additional unit. 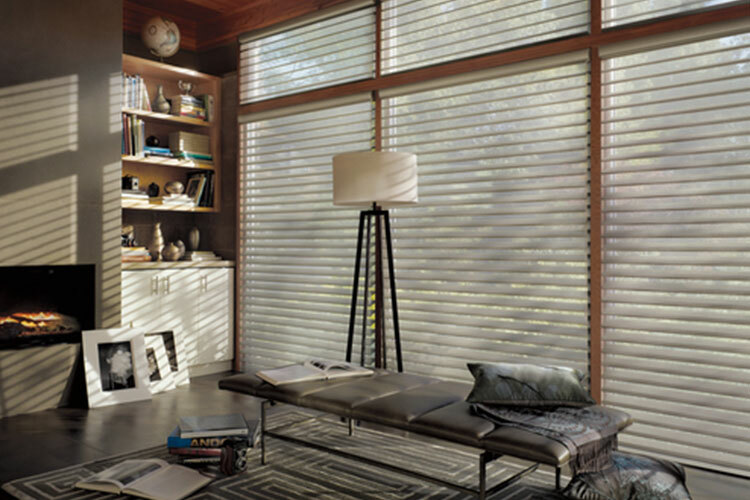 Purchase 2 Silhouette® Window Shadings, plus $50 rebate for each additional unit. 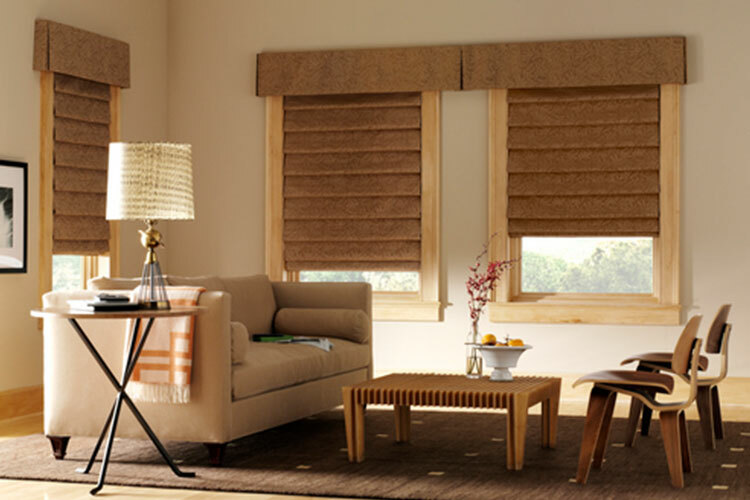 Purchase 2 Vignette® Modern Roman Shades, plus $50 rebate for each additional unit. 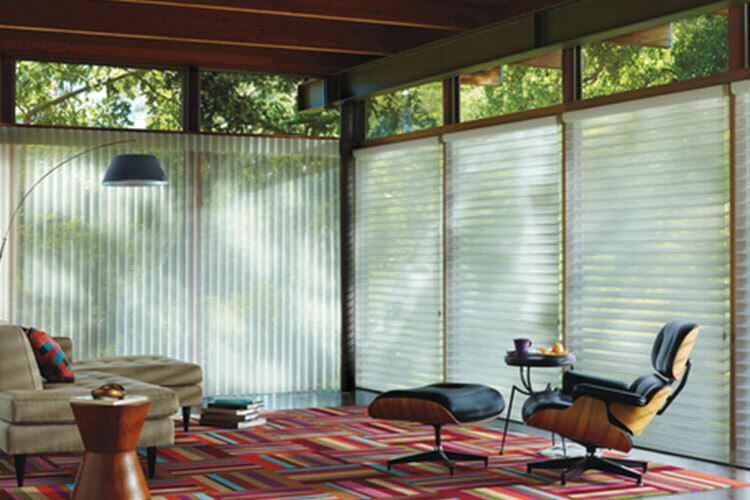 Purchase 4 Duette® Honeycomb Shades, plus $25 rebate for each additional unit. 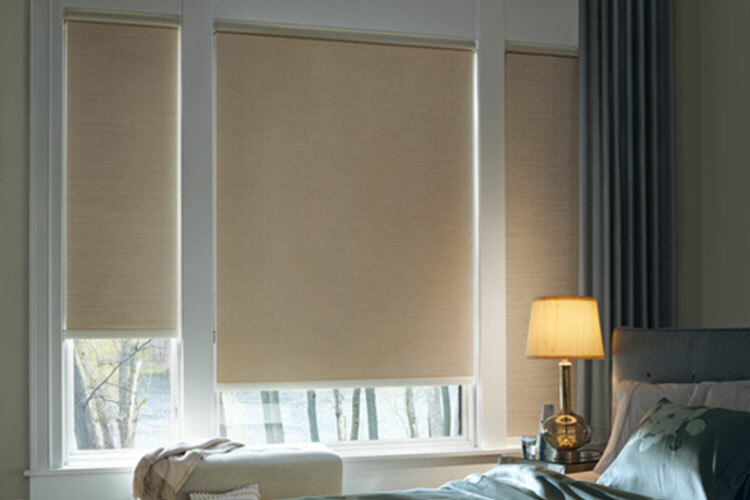 Purchase 4 Sonnette™ Cellular Roller Shades, plus $25 rebate for each additional unit. 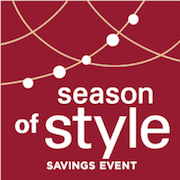 TWG Fabrics & Home Decorating Center is an authorized Hunter Douglas Showcase dealer in middletown, New York. 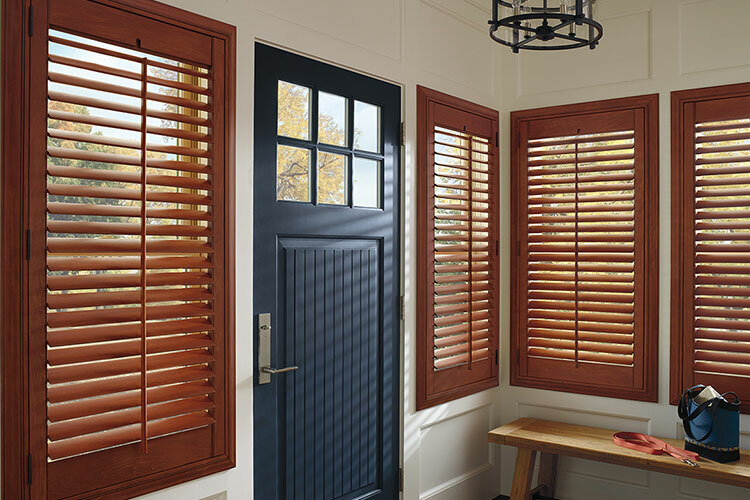 TWG features a showroom of the latest Hunter Douglas blinds, shades and shutters. 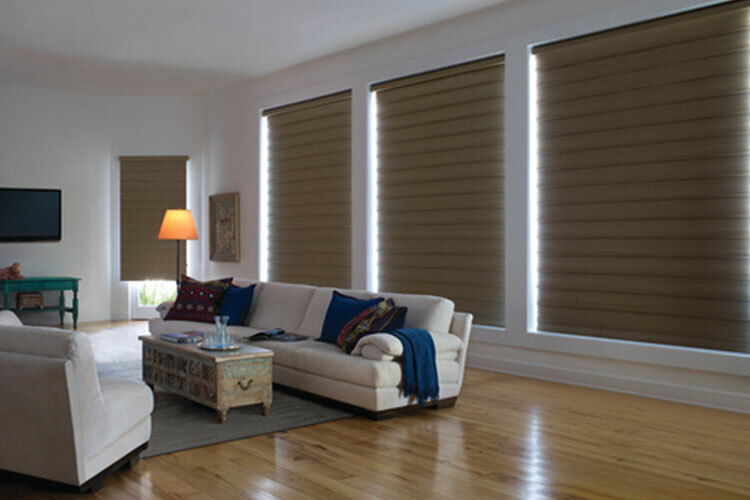 Choose from roman shades, roller shades, room darkening shades, solar shades, sunscreen shades, plantation shutters, privacy sheers, verticals, mini blinds, honeycomb shades and more. 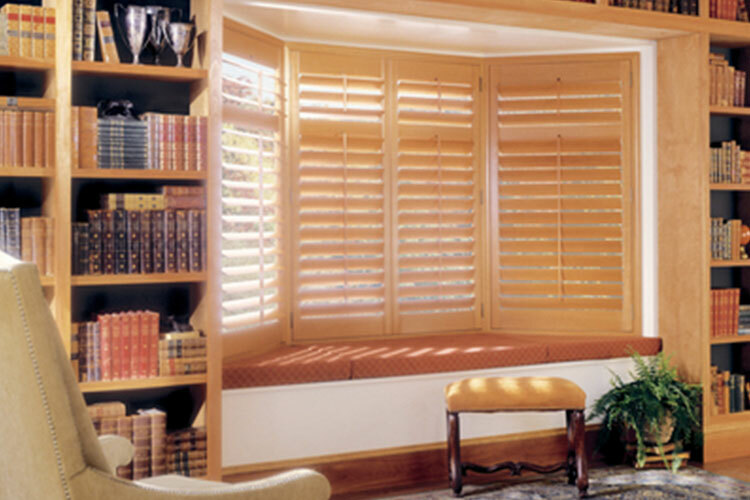 TWG Fabrics & Home Decorating Center offers 4 different line of Hunter Douglas shutters including, Heritance® Hardwood Shutters, Heritance® Handcrafted Series, New Style® Shutters and Palm Beach® Polysatin Shutters. 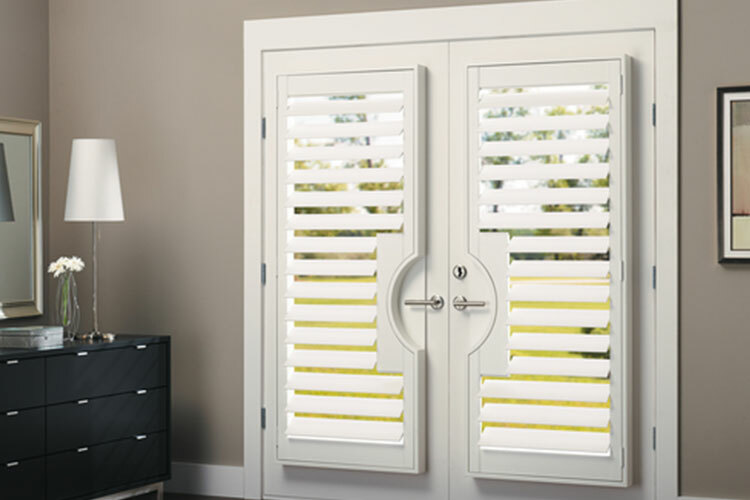 You’re sure to find the prefect plantation-style shutter look for your home or office. 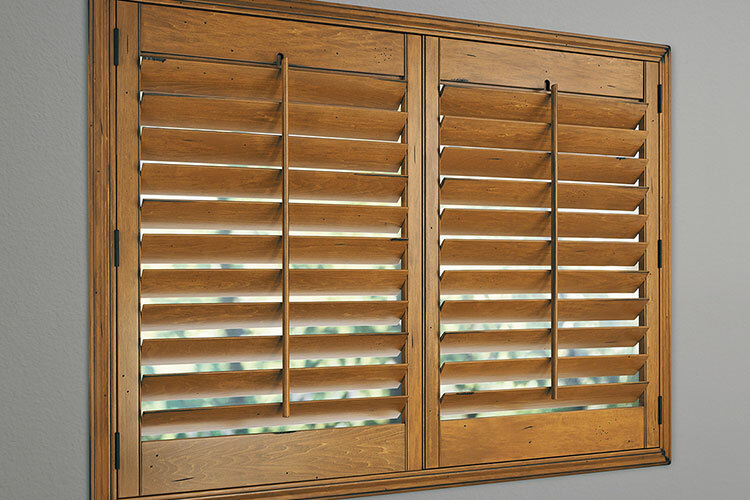 Choose from real wood or composite wood shutters that won’t warp, crack, fade or peel. 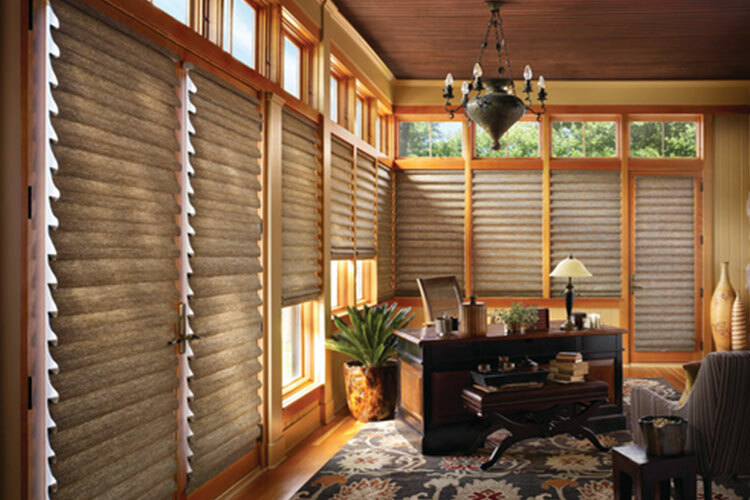 Visit the TWG Fabrics & Home Decorating showroom to see the full-line of Hunter Douglas wood blinds on display. 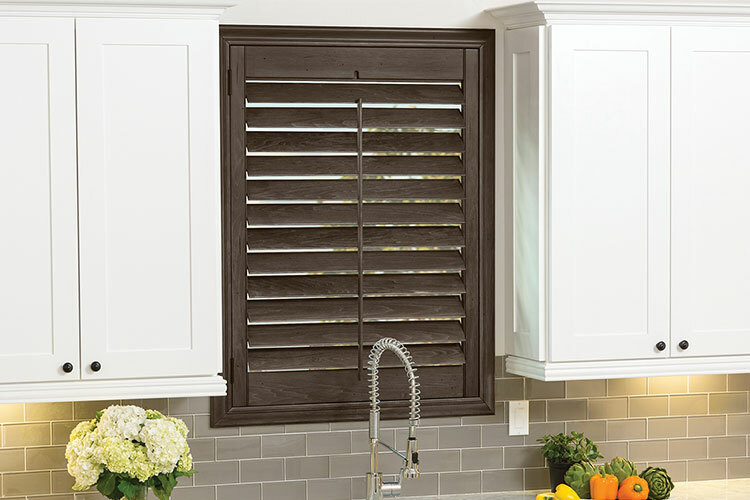 Come see and touch the beauty of real wood blinds or choose a faux wood that’s practical for high moisture areas with humidity. 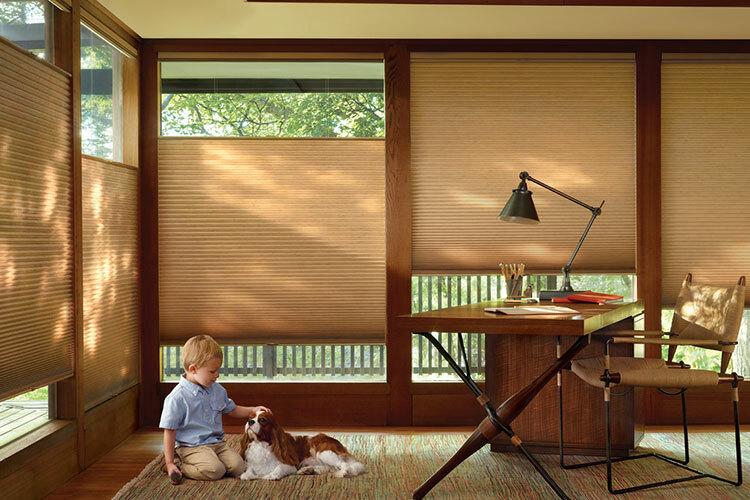 Dress up your wood blinds with decorative tapes, cornices and drapery. Keep it simple or sophisticated. 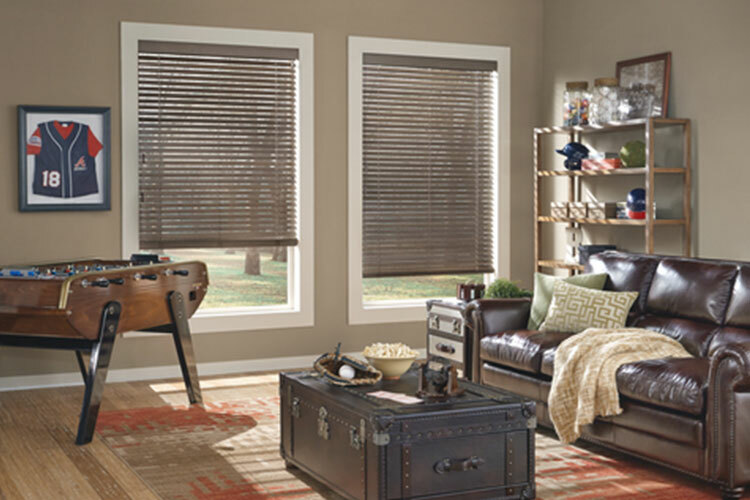 No matter what your decorating style, TWG Fabrics & Decorating enter has the best Hunter Douglas wood blinds to match your home or office decor. 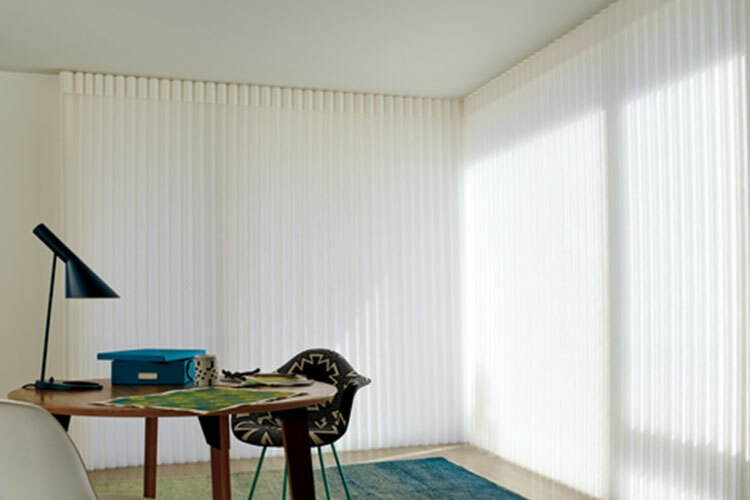 Hunter Douglas Luminette® Privacy Sheers are ideal for large window or sliding glass doors. 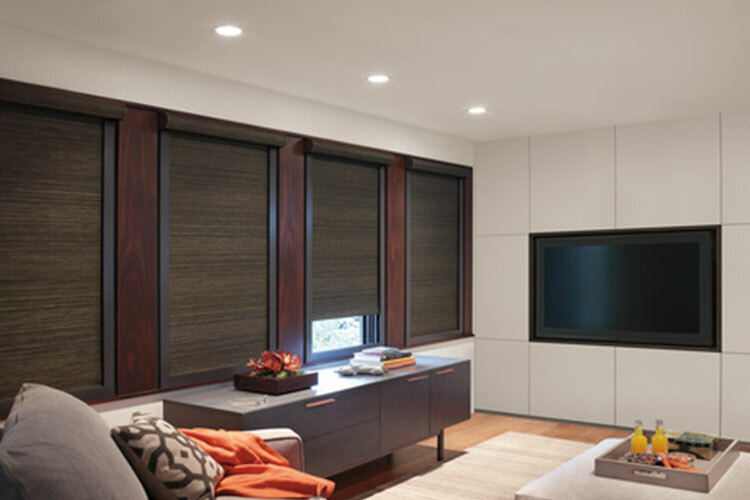 They are the perfect window covering for vertical windows. Luminette has a soft appearance on a window. 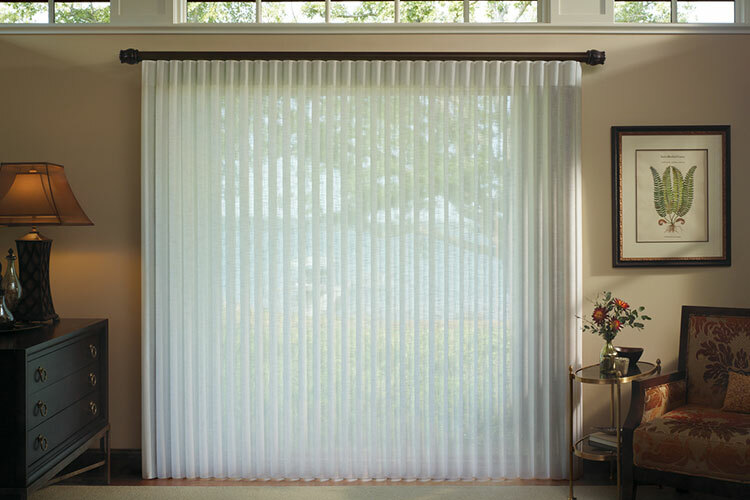 The sheers and drapery-like fabric offer amazing light control opportunities and privacy options. 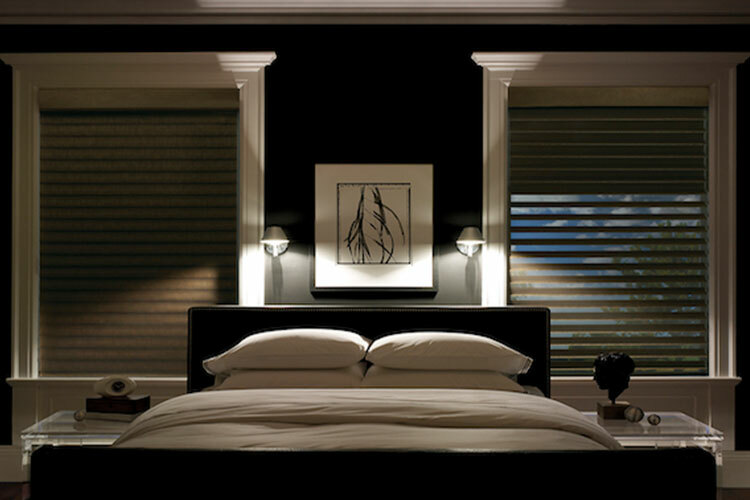 Tilt the sheers to the desired position to control the light entering a room. Close them completely for privacy from the outside world. 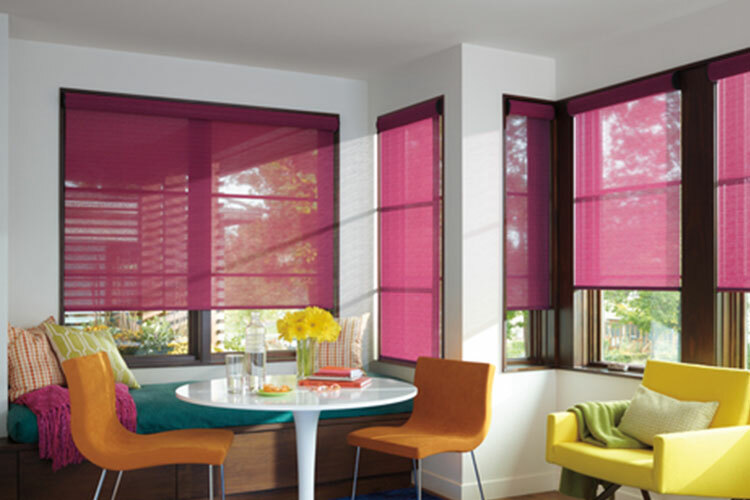 Today’s roller shades are very modern. They are easy to operate with a sleek, new clutch system that quite and smooth. 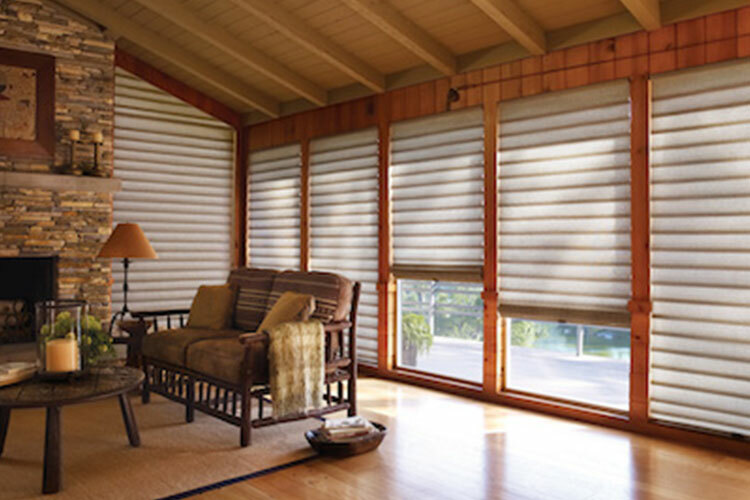 Ask about the variety of Hunter Douglas roller shade colors to make a beautiful design statement in your home or office. 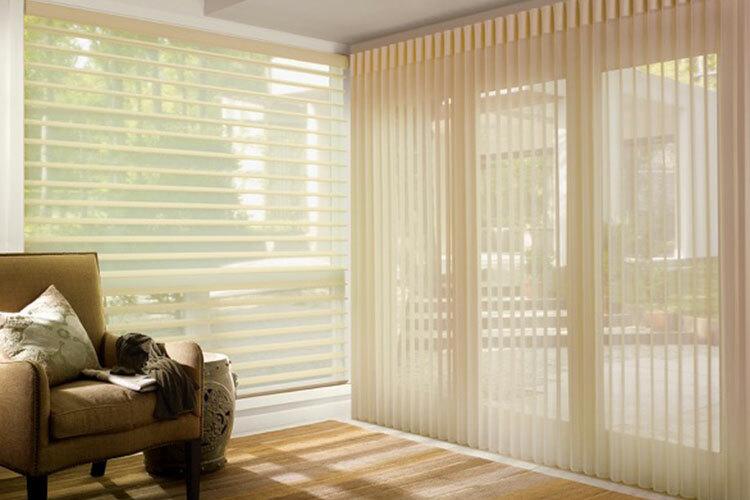 Choose from different levels of opacity on the fabric of your roller shades to obtain more or less of a view of the outdoors. 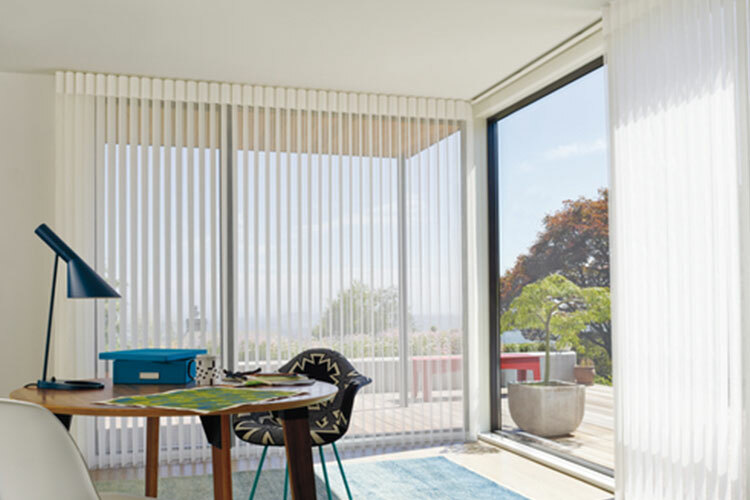 If you’re looking for privacy without compromising the complete view when your roller shades are down, these shades may be the perfect window covering for you. 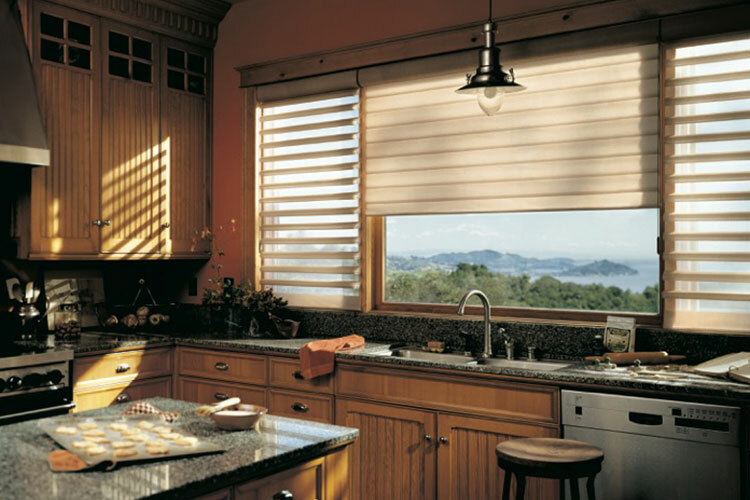 Hunter Douglas roman shades are available in 3″, 4″ & 5″ inch fold sizes. TWG Fabrics & Home Decorating Center has roman shades with and without folds. 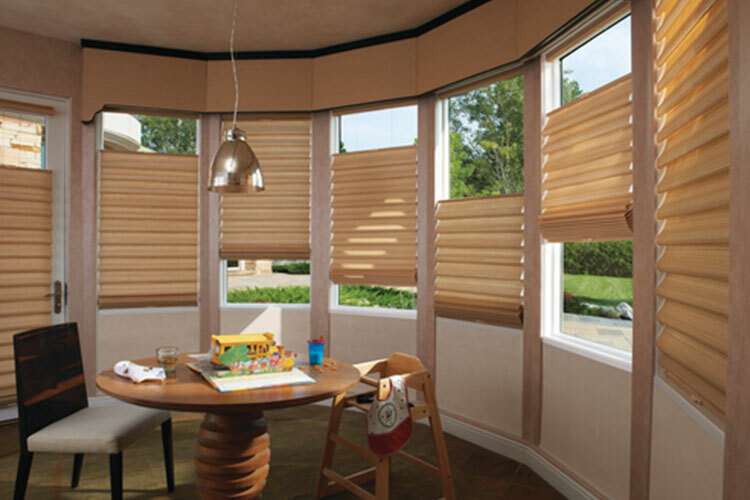 Ask about stylish Hunter Douglas Vignette® Modern Roman Shades. Whether it’s flat roman shades or roman shades with folds, TWG has a HUGE selection of designer fabrics, exquisite colors and unique patterns and textures. 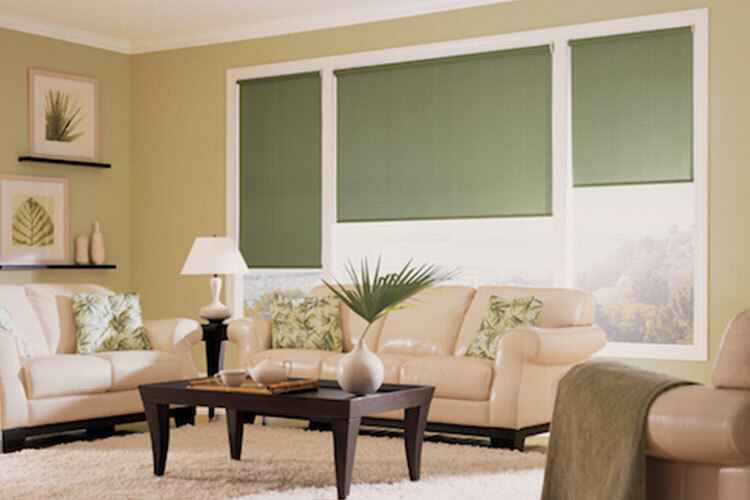 Add a soft treatment to your roman shades to achieve a complete window treatment look.